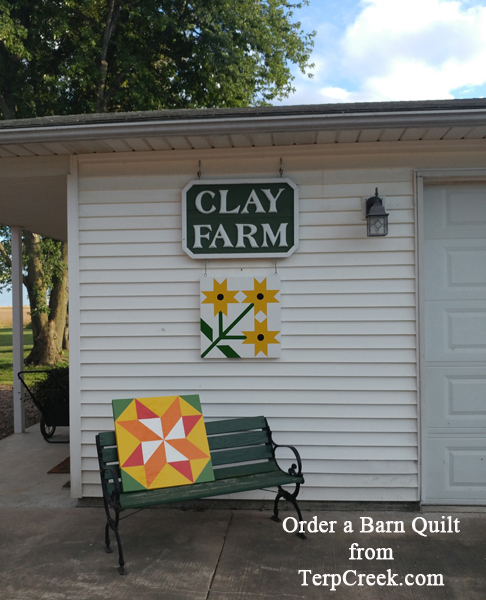 This Wooden Fall Barn Quilt is done and ready to deliver. The customer wanted the blue change to orange to make this a fall block. I really liked the way it turned out. 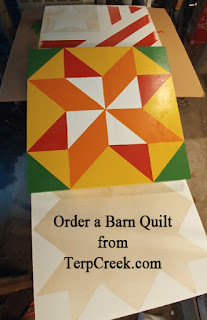 Working on more Wooden Amish Barn Quilts! Things are really getting busy at TerpCreek.com because Christmas orders are starting to come in. 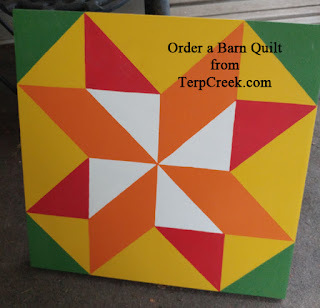 Go to TerpCreek.com and order a barn quilt for your mom, loved one or friend. You can pick one from the website or email me a photo and I will do a custom Wooden Quilt Block. Each block is built and painted when it is ordered so you may request a color change. 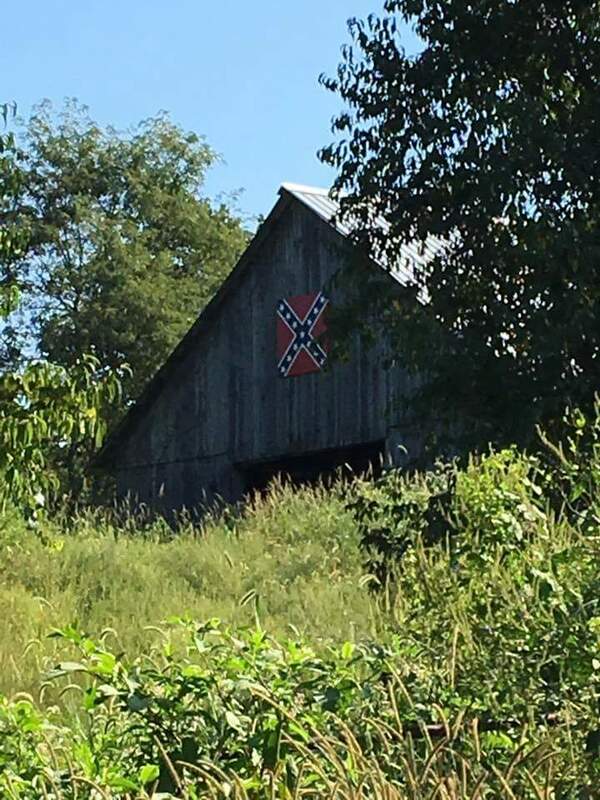 I got this photo a while back. I think the Confederate Flag Barn Quilt looks great in its new home in Jackson County, Kentucky! Thanks for sharing the photo!